As the name says, these ropeway have motor. 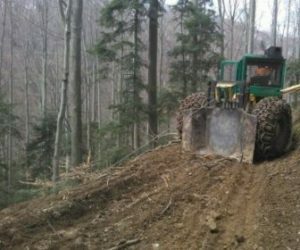 In relation to the mode of transport of wood, of skidders are distinguished by the fact that wood is raised off the ground. 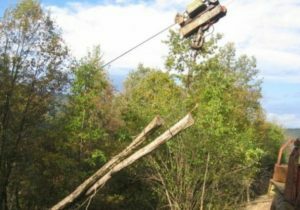 In most ropeway motor is used for traction in one direction, either cargo, or wagon. In the opposite direction used the force of gravity.